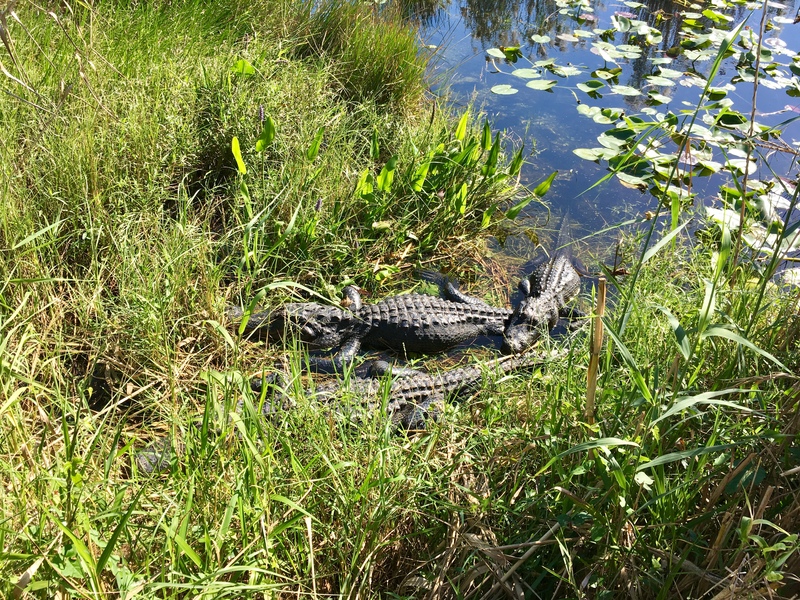 A visit to Everglades National Park was next on our list of great places we wanted to explore. 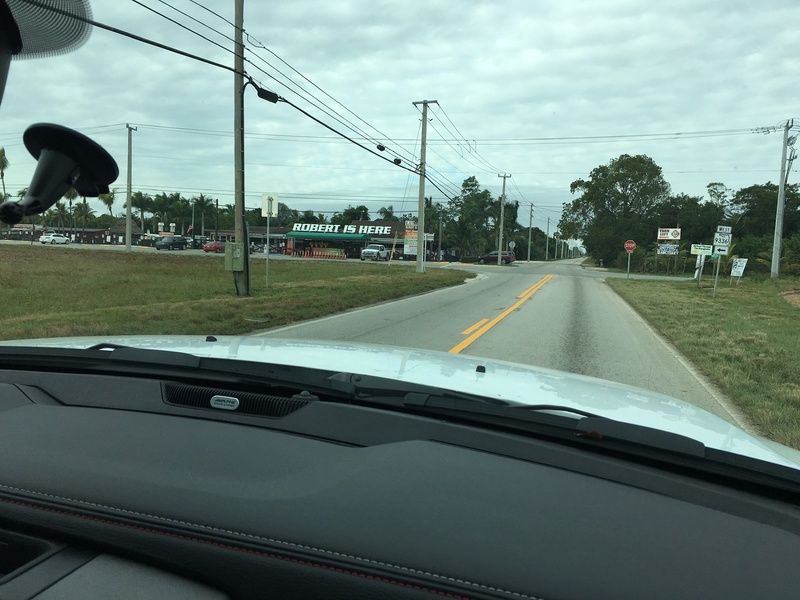 So, we continued south towards Miami and settled in at a great county campground called Larry and Penny Thompson Memorial Park. 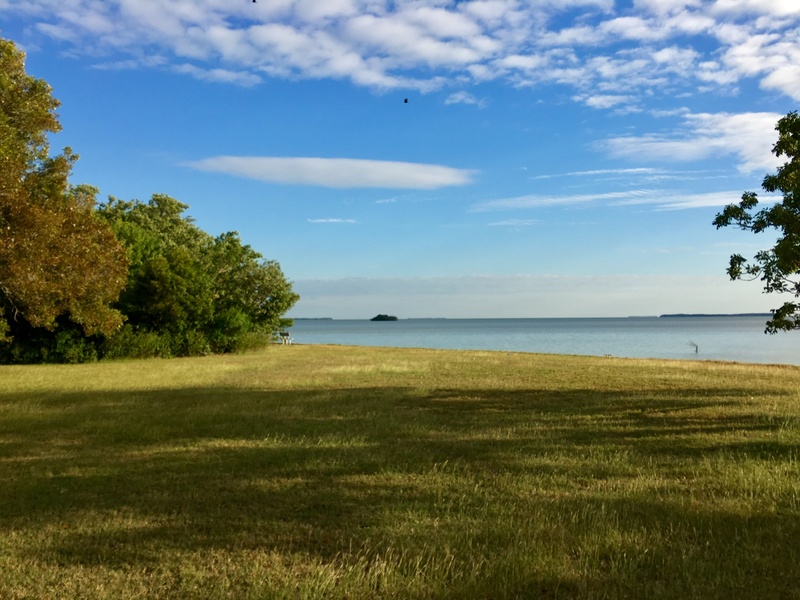 This very nice 270 acre park is adjacent to the Miami Zoo which is located in southwest Miami and is considered the largest park/campground in Miami-Dade County. 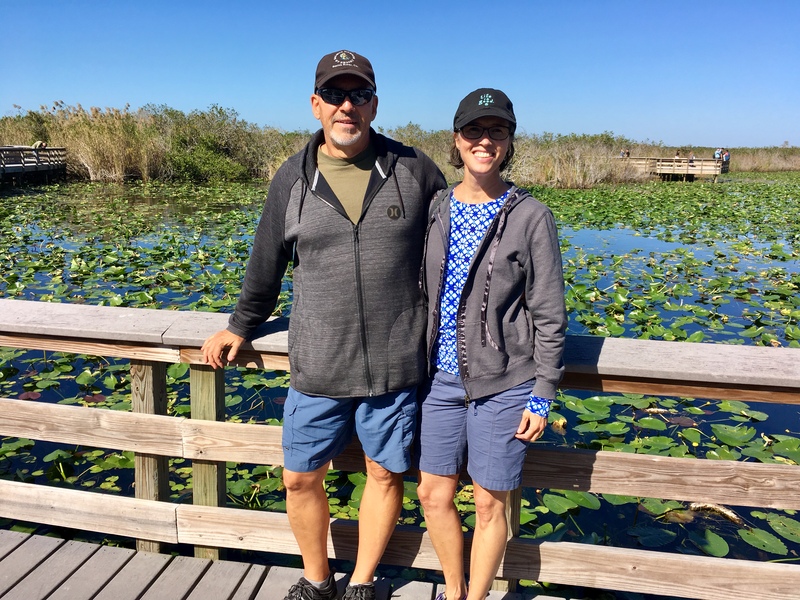 My lovely wife picked this park because it is only 2 miles from the Florida Turnpike which gave us easy access into the Everglades National Park via Highway 1. We decided to skip wandering around the city of Miami and focused our stay around trips to the Everglades and surrounding areas instead. 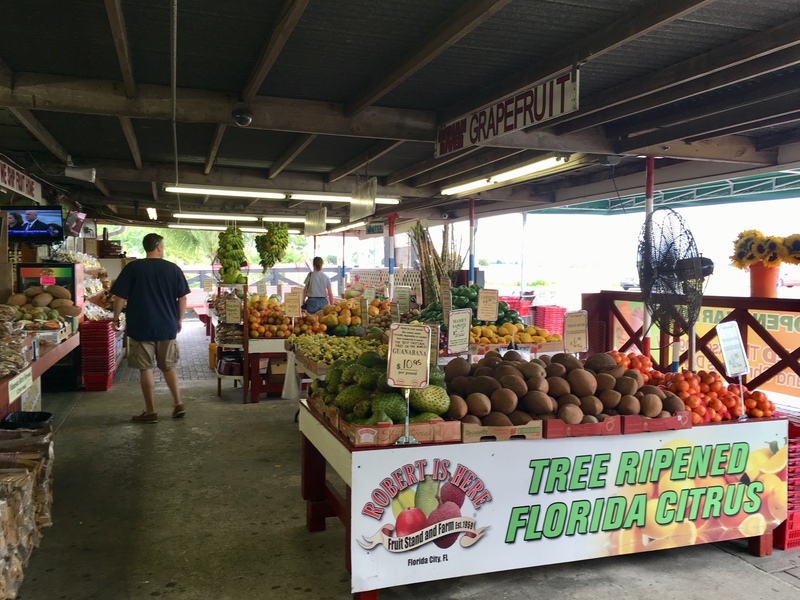 The first place we stopped on our way to the Everglades was this large fruit stand called “Robert is Here”. They carried all kinds of fresh tropical fruits along with a huge assortment of honey, jam, sauces, snacks, and were somewhat famous for delicious fruit smoothies. Of course, we both had to try a fruit smoothie and they were definitely tasty treats. Below are a couple of pics to give you a better idea of what fruits they carry at “Robert is Here”. The Everglades National Park is the largest tropical wilderness in the United States and was established in 1936 to protect a quickly vanishing Everglades ecosystem. 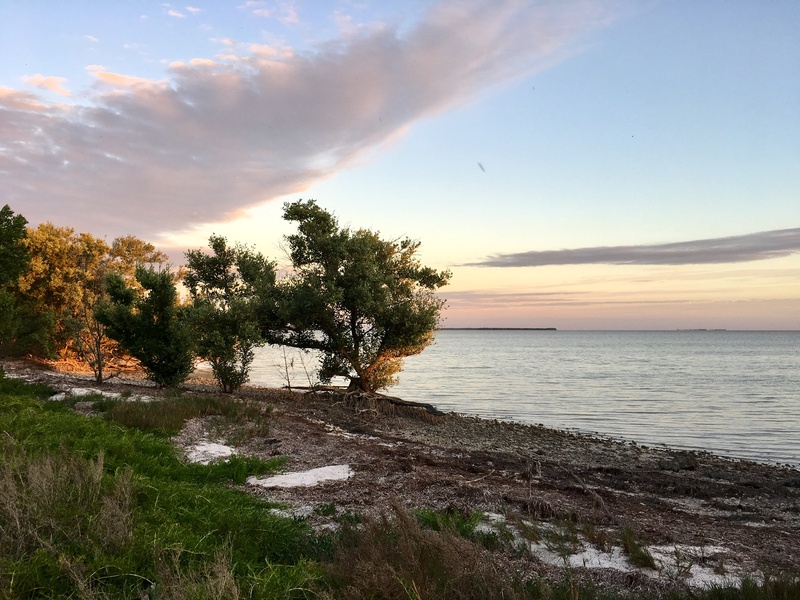 It consists of a 1.5 million acre network of wetlands and forests fed by a river flowing 0.25 miles (0.40 km) per day out of Lake Okeechobee southwest into Florida Bay. The park is the most significant breeding ground for tropical wading birds in North America and contains the largest mangrove ecosystem in the Western Hemisphere. It provides essential habitat for threatened species such as the Florida Panther, American Crocodile, & West Indian Manatee. 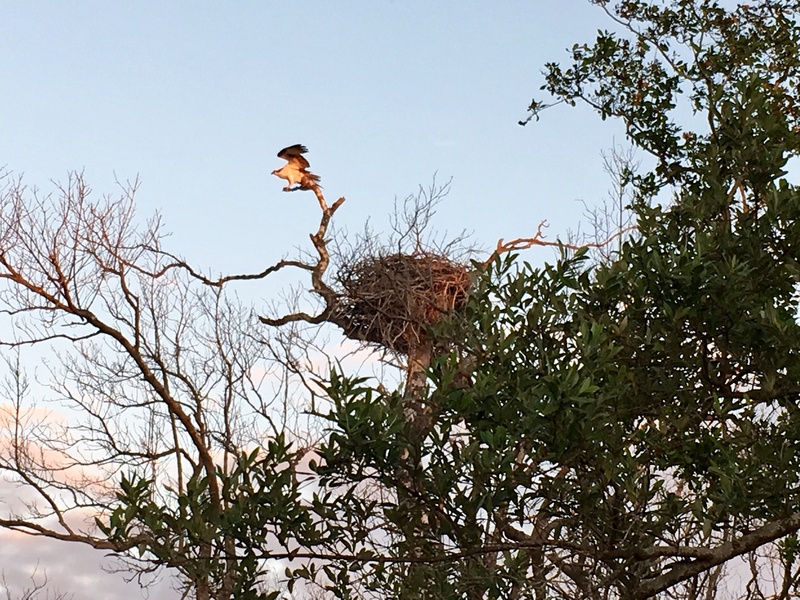 We explored two major areas in the park – one was Anhinga Trail near the Royal Palm Visitor Center and the other was Florida Bay near the Flamingo Visitor Center. Anhinga Trail was a really nice boardwalk that snaked its way over some grasslands and marsh areas full of birds, fish, and alligators (of course). 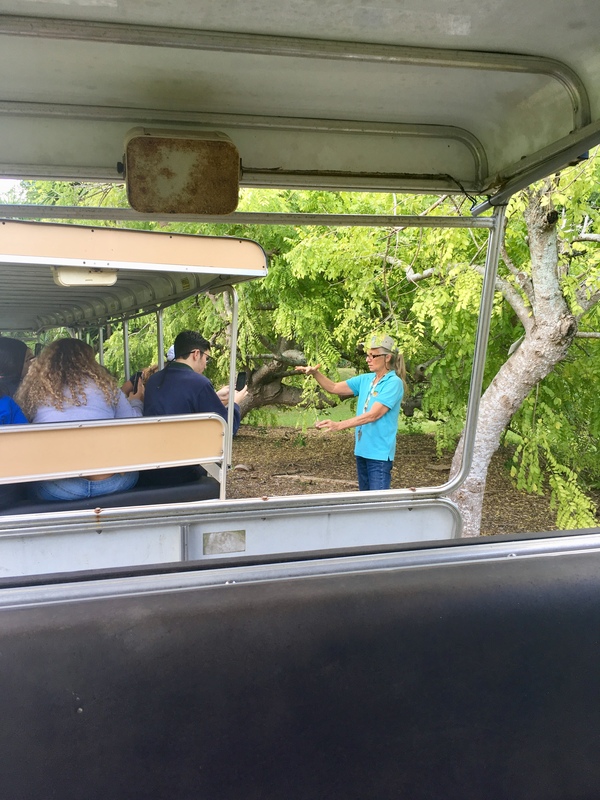 A seasonal park ranger provided a very informative tour of the trail and mentioned that Burmese Python snakes (we didn’t see any) have infested the Everglades and wiped out large populations of small mammals such as rabbits, foxes, and possums. Invasive species like the Burmese pythons cause severe environmental impact because they produce a lot of little snakes and there isn’t anything that can eat the big snakes. These snakes have even killed and swallowed whole alligators which can kill the snake if the gator is too large to digest (talk about acid reflux). Next, we drove about 30 miles further southwest into the Everglades Park and arrived at the Flamingo Visitor Center. This visitor area of the park was mostly waterfront to Florida Bay and there was a large marina area where crocodiles (yes, large crocodiles) hung out sunning themselves. One of the seasonal park rangers explained that there are only two places in the world where both fresh water alligators and salt water crocodiles coexist within the same habitat and the Everglades National Park is one of them. The other is along the Yangtze River in China. Here is a pic of a fairly large crocodile swimming in the marina. It’s not easy but can you spot him? 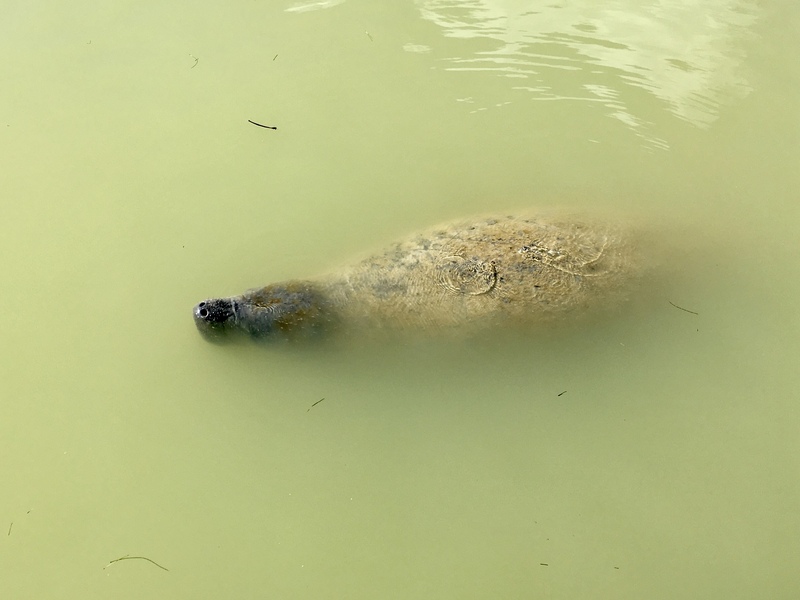 Manatee coming up for air and to check us out! The weather had been chilly on most days but we were finally blessed with a nice warm day (78 degrees) which was perfect for snorkeling in Florida Bay. Bonnie booked us a half-day boat trip from John Pennekamp Coral Reef State Park located in Key Largo. Our crew of two lovely young ladies took us and 20 other people out to three reefs in Florida Bay where we snorkeled and saw a lot of colorful fish. Most impressive was the large number of huge barracudas that lay hidden between large brain corals waiting to pounce on a meal !!! We must have counted at least 10 large barracudas throughout the day while snorkeling. 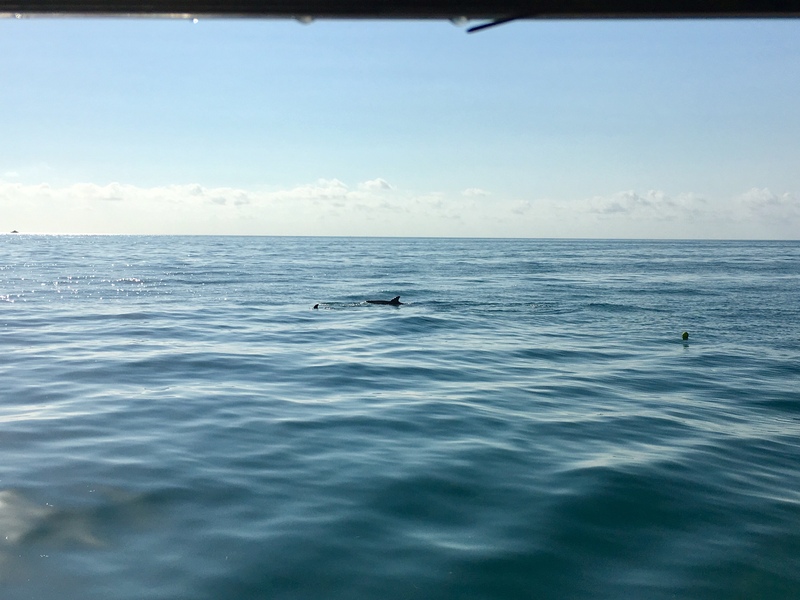 Also, check out these dolphins we spotted while heading out to the reef in Florida Bay for snorkeling. 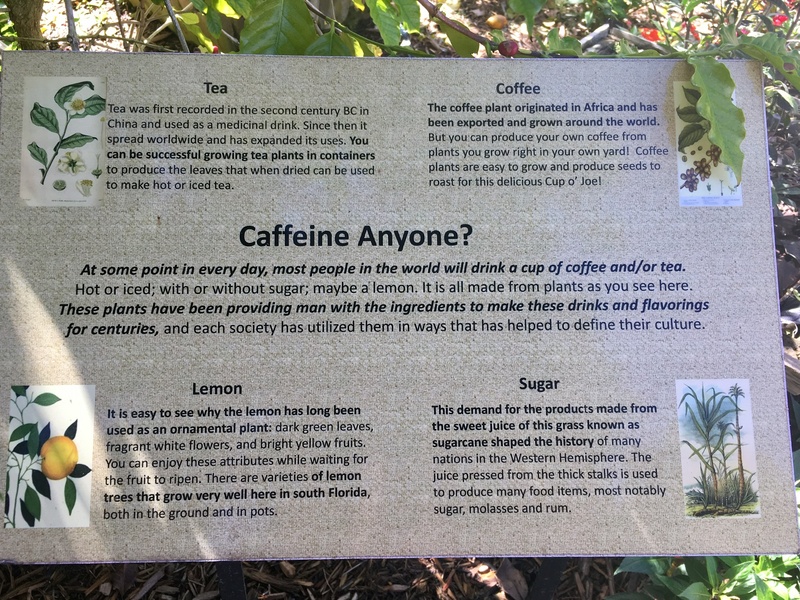 Besides the Everglades, another unique place we visited was the Preston B. Bird/Mary Heinlein Fruit & Spice Park which is a 37-acre farm located in the historic Redland community just 35 miles south of Miami. It is the only tropical botanical garden of its kind in the United States and displays over 500 varieties of fruits, vegetables, spices, herbs, and nuts from around the world. The park staff was very friendly, offered us various pieces of fruit to sample, and took us on a guided tour of the park. 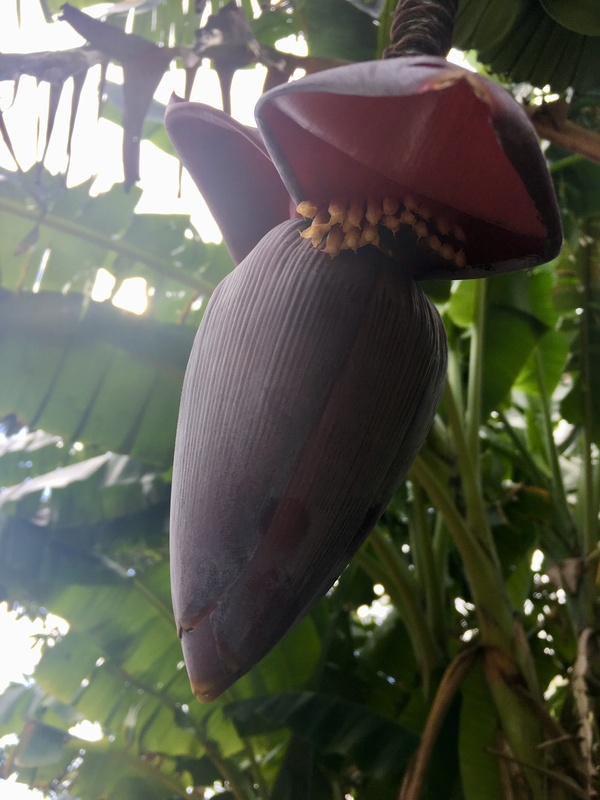 I was most fascinated by the banana plants which display a large alien-like flower stalk that holds tiny yellow buds. Each tiny yellow bud is actually a miniature banana that grows larger until ripe for harvesting. The banana plant eventually dies once it has matured and produced many bananas from its flower stalk. Here is a picture of me learning about the banana plant from a lead horticulturist at the spice park. 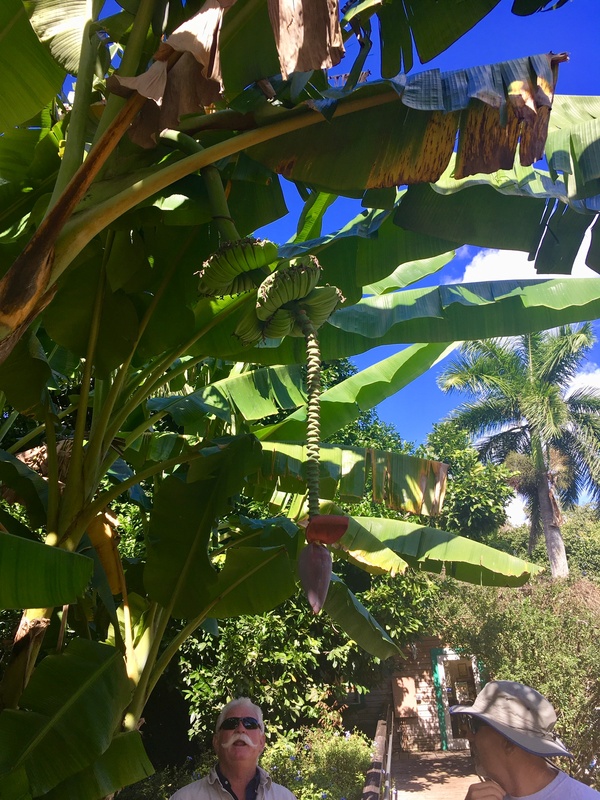 Can you spot the tiny bananas growing from the alien-like flower stalk? Last but not least, we wrapped up our visit to the Miami metro area by visiting a small music venue, called Culture Room, in nearby Fort Lauderdale. This club showcases up and coming bands and we had purchased tickets to see a band called Saint Paul and the Broken Bones play. The music was great but the venue was very small and they packed way too many people into this standing room only club without any assigned seats. Also, the sound system appeared to have a blown speaker so the sound quality produced by this popular blues band from Alabama wasn’t its best. Needless to say, Bonnie and I spent the night listening to some good music while standing way too close to a lot of drunk and stoned people on the floor. Let’s just say we won’t be going back to that club anytime soon. Below is a YouTube video of Saint Paul and the Broken Bones for your listening enjoyment !!! 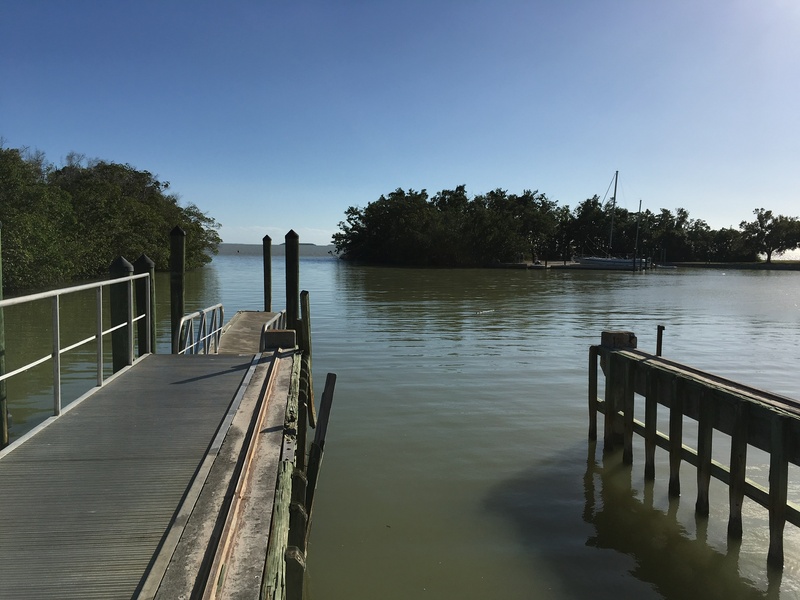 On December 9th, we left Miami on the east coast of Florida and traveled across the state to Koreshan State Park near Naples on the west coast. Our Airstream travel trailer required some minor warranty repairs so we had scheduled an appointment at North Trail RV in Fort Myers on December 10th. My cousin, Scott George, and his lovely wife Mary live in nearby Naples so we also scheduled a dinner date with them. Always great pictures..we are envious..but happy for them in enjoying their journey of a life time together. You only go around once..make the best of it. Going to see them soon,,Love them both.